The good doctor’s sage words have been absent from Das Tor’s pages for many a tragic year, and oh, how we have struggled to find our way without him. 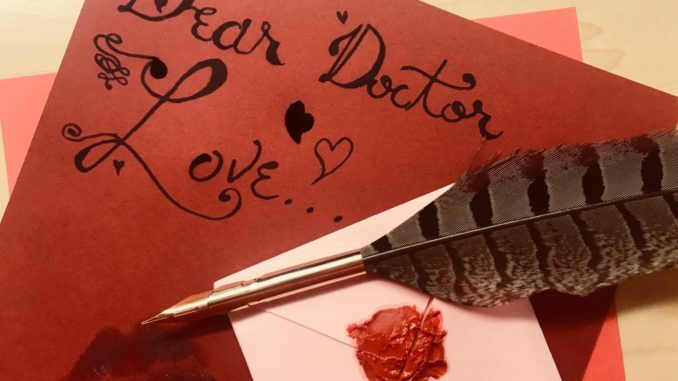 But now, in honor of old Thunderbird traditions and in anticipation of a certain romantically-charged holiday, it is my absolute honor to welcome back the one and only Doctor Love. Thank you, Daisy, for the lovely introduction (which I have not read). It’s been far too long since I stretched my literary legs. Friends, that magical time of year is here again. Pharmacies and grocery stores are swathed in pink and red. Executives in the greeting card, chocolate, and flower industries are licking their chops in eager anticipation of a lavish bonus. Most importantly, now is the time that our minds turn collectively to fancy—more so than usual, anyway. Thunderbirds, Thunderbees, and Thunder-educated fleas are lost in thoughts of l’amour. But make no mistake—romance is no walk in the park. You have questions, of course! And who better to quell your curiosity than me? I am a doctor, after all. I am worried that this guy can’t pay my bills. What should I do? It’s clear you have your priorities in order—profits first, like a true business student! Have you expressed your concerns to this guy? And I don’t mean through hints and indirect communication—that won’t get you the answers you need. Before you advance your relationship, I suggest you sit down with him and ask him exactly how well he can provide for you. Be specific about what you want—do you just want him to pay your telephone bills, or are automo-bills implied in this arrangement as well? If he’s open to this, maybe you can chill. If not though, it falls on you to decide whether you want to keep things going or seek out someone less cost-conscious. Happy hunting! I had this amazing summer love, but…it’s with the school’s bad boy. I can’t decide if I should change myself to be more of what he wants, or if I should just be myself? Sandy’s beau is a different kind of “T-bird.” Courtesy of Playbuzz. Sandy, you must start anew. You already know what you must do. Be yourself, absolutely, but take some time to do some soul searching. 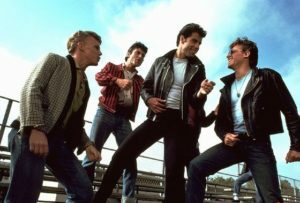 No matter how wholesome and pure you’re used to being, deep inside you’ll find a part of you that’s a total badass with a perm and a leather jacket, who says things like “tell me about it, stud.” Make it clear that he’s the one you want, and I promise you that on graduation day, the two of you will fly a sweet convertible off into the sunset*. *flying car not guaranteed. Ask Elon Musk, maybe he’ll take requests. My husband really likes eating bananas. Is he gay? Now, now, let’s not jump to any conclusions. There’s no need for potassium-shaming, k? Even if you find your husband’s choice of snacks unappeeling, those sorts of stereotypes are a slippery slope. This man is not just your sweetheart or boyfriend, he is your husband. If you’ve been with him long enough to say your “I dos,” you would know by now if he was gay. Even if you’re a guy. Actually, especially if you’re a guy. If you’re a guy and don’t know if your husband is gay, I don’t know what to tell you, apart from that your critical thinking skills need work. 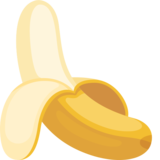 As for your partner’s produce pickiness problem, I propose this: simply take the initiative on the grocery shopping for a while, so you can introduce some non-banana foods into his diet. Might I suggest peaches? Or if you prefer vegetables, you can’t really go wrong with a wholesome, nutritious eggplant–whatever paddles your canoe! I’ve found a man here at Thunderbird who truly knows what I need. He responds when I call, he’s always there, and he really looks out for me. I’ve never felt so safe as when he’s around… He’s also a campus security officer. I know, I know, you might be thinking he’s just doing his job. But how could I not read into it when he defended my honor (and comfort) the time I made a noise complaint? And he once drove me to the dorms when my feet hurt from wearing heels after a long night at the Pub. That’s knight in shining armor stuff. The thing is that he’s clearly too overwhelmed by his love for me to say anything about it. What should I say to him to get this everlasting love thing going? Wow! It sounds like a fairy tale romance has come to Thunderbird. Be warned if you choose to make a move, however—those knights on their wheeled chargers are notorious players. Rare is the student who hasn’t had an encounter with the chivalrous campus protectors. There’s no doubt that your hero has let and will continue to let many other princesses go for a ride. But if you don’t mind sharing him, then more power to you! Obviously, when charming a classic knight, you’ll want to make good use of the damsel in distress card. While it may be a little (or a lot) antiquated, you’ll make him feel needed—which is what we all want now and then, isn’t it? Make a habit of “forgetting” your key and needing to be let back into your dorm room. Also, throw out all of your flats. You want to wear heels constantly so that you have the valid excuse to call on your champion for a bold rescue at a moment’s notice. If you keep with it, you’ll surely find your happily ever after! I’m currently a Thundervirgin. How do I become more worldly in my experience of Thunderbabes? Don’t be afraid to lean powerful, if that’s your thing! Courtesy of Dailymail. I certainly can’t blame you for wanting to get a little more familiar with some good old-fashioned international love. What you need to do now is think like a CEO making plans to take your company global. What are you hoping to get out of your first foray into global affairs: a gentle and kind romance, full of indirect communications and calculated moves? Or something more spontaneous, high risk and high reward, and dare I say…impactful? Planning ahead is key if you want to start a new venture. If you haven’t, it would be wise to conduct research and run simulations before applying your theories in practicum—if you’re the master of your domain, you’ll know best what to pursue in the field and what works better on paper. Remember to be strategic and account for cross-cultural differences in flirting—maybe brush up on some innuendos in other languages! Take my advice, and before you know it, you’ll open up a whole new world of international relations to explore. Have fun! With that, my work here is done. I would like to thank Daisy again for giving her writing space over to me this week. I’ve never met her, but she sounds pretty. Living, working, and playing in such close quarters on our little campus has always been a recipe for tension—and I am proud to have bestowed my endless wisdom onto the hapless, hormonal young adults of Glendale one last time before we grow up and take our place in the gritty, sleepless big city. (There’s strip clubs in Phoenix. I can’t wait for the move!) I wish the best to all of you curious explorers. May you all get very, very lucky this Valentine’s Day. The Girls of Revolution Street: Who Are They? Das Tor? More like “Das Torrid”!